Freesat considers move into pay-TV services | What Hi-Fi? 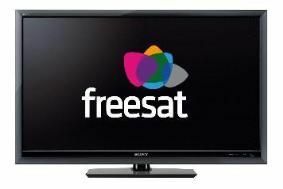 According to the MediaGuardian, Freesat's board is looking at the possibility of taking advantage of BSkyB's recent reduction of its wholesale prices to other broadcasters, forced on it by industry regulator Ofcom. Emma Scott, managing director of Freesat, says: "We are looking at pay television. There is a lot of discussion around the Freesat and pay television issues taking place at board level. We haven't taken a final decision." She says Freesat is watching developments closely, including BT Vision's decision to offer Sky Sports to its customers in time for the new Premier League season. "My personal view is that it would be odd for Freeview not to offer the option as well," says Scott. Pay-TV sales would be handled by a third party, with Freesat operating the conditional access system that would underpin it. If the company decides to go ahead with offering pay TV it will need the approval of the BBC Trust. Freesat was launched as a joint venture between the BBC and ITV in 2008. Recently, it has come under fire for missing out on a range of channels (particularly high-definition ones) that have gone to other broadcasters such as Sky, Virgin Media, BT Vision and Freeview.